While many people who wear glasses can also get contacts, you may have been told by an optometrist that you are not among those people. In the past, you may not have qualified for contacts due to problems with the shapes of your eyes, but today, eye doctors can successfully fit many more patients with contacts. Visit our eye doctor in Arvada at Arvada Optometric Center to see how you can finally free yourself from glasses. Patients who have been told they have hard to fit eyes need special contacts that take their eye shape into consideration. 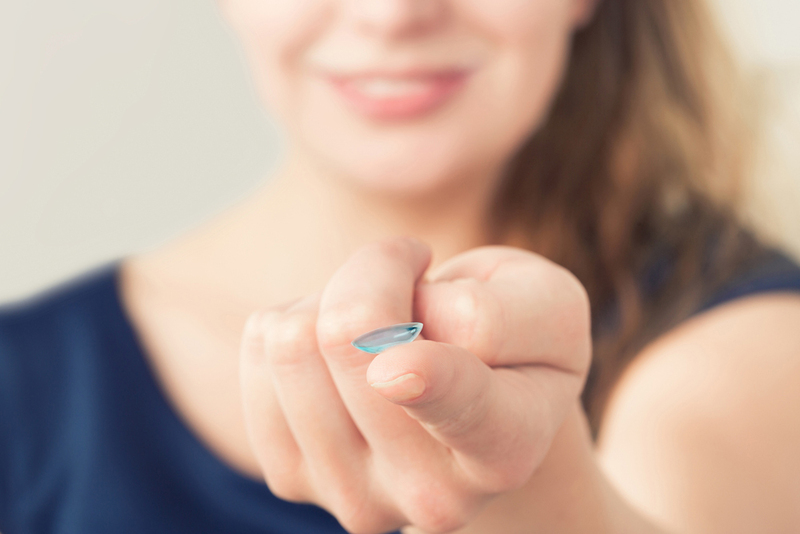 Because contacts sit on top of your eye, the shape of your cornea makes a dramatic difference in the ease of wearing contact lenses. If you have any of these common eye conditions, you likely have hard to fit eyes. Luckily, you have options for contacts now, thanks to emerging technology. Astigmatism: If your eyes bulge out in the center, it could blur your vision, causing astigmatism. Eye doctors developed toric contacts for people with this condition. Your optometrist has the option of selecting soft or rigid gas permeable lenses of the toric type. You may also have hybrid lenses. Keratoconus: An irregular cornea shape contributes to the condition keratoconus. You may qualify for hybrid lenses with a rigid center and soft exterior ring, double lenses with a soft contact worn under a hard one, gas permeable rigid lenses or scleral lenses that sit on the whites of your eyes. GPC: Giant papillary conjunctivitis is a condition in which your tears can irritate your eyes. Contacts that do not breathe make the condition worse. You might be able to wear rigid gas permeable lenses. Presbyopia: Aging eyes have more trouble focusing, and you may need bifocal contacts to help you see better. Dry Eyes: Your eyes need to breathe, especially if you have dry eyes. Gas permeable contact lenses allow air to reach your eyes. They also don't draw off too much moisture from your eyes. If you think you have a condition that makes fitting you for contacts hard, make an appointment with an optometrist at Arvada Optometric Center. If you have any concerns about visiting our eye doctor in Arvada, give us a call at (303)-424-5282. Our helpful office staff will answer all your questions about making an appointment and how our practice operates. You don't have to live with the hassle of glasses anymore. Come see us for contacts, even if you have hard to fit eyes.